6 Ellerdale Road (now the Institute of St Marcellina) is a house built by the Arts and Crafts movement architect Richard Norman Shaw for himself in the period of 1874 to 1876. 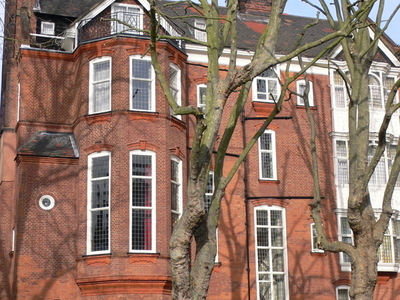 It is a large red brick detached house in between Frognal and Hampstead in London. It was made a Grade I listed building in 1950 and as of 2006, it has been used as a convent. Here's the our members favorite photos of "Historic Houses near London Borough of Camden". Upload your photo of 6 Ellerdale Road!